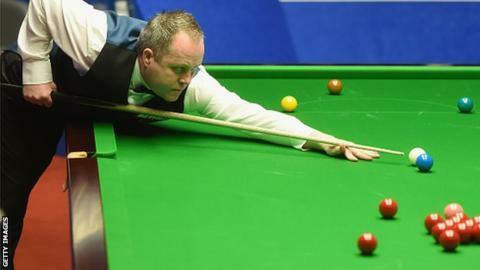 Scotland's John Higgins has set up a meeting with Dave Gilbert in the final of the International Championship with a 9-4 semi-final win over Mark Selby. World number one Selby was struggling in Daqing once Higgins opened a 5-1 lead in the first session. Winner of the Australian Open in July, Higgins is aiming to complete a 28th ranking tournament victory. Gilbert beat Thailand's Thepchaiya Un-Nooh on Friday to earn a shot at the £125,000 first-prize. Just by reaching the final of the most lucrative tournament held outside the UK, Gilbert will get at least £65,000, the biggest cheque of his career. Higgins, the four-time world champion, completed one century break and three half-centuries in those opening six frames and breaks of 64 and 54 in the second session to ease home. If the Scot wins on Sunday, he will equal Steve Davis' number of ranking tournament wins.